This wasn’t the way I wanted to start my post with, but it did happen whilst I was writing it and I feel that as a travel blogger, I have the duty to speak up. In a recent statement, the president of the United States of America has categorised quite a big number of nations as “shithole countries”. I have travelled to over 40 countries during the past 10 years, but I never went to America. Because I come from a “shithole country”, even if it’s not on the list, I am not granted to right to apply for a visa without an interview and without paying the amount a city break would cost me in Europe to schedule it. And I told myself that if they don’t want me, I don’t want them either. There are plenty of other countries that are welcoming me with open arms, and one of them was El Salvador! It’s been a few years since I have been going to Latin America to spend three weeks of my winter in the sun. I fell in love with the colourful colonial cities, with the friendly people, with the food, with the simple way of life. This year I was fortunate to travel to El Salvador, Belize, Guatemala and Mexico and when I heard the above comments, I got angry. How can someone who has no clue about what he is talking about, besides the fact that he probably never visited any of the countries he mentioned, categorize and call a nation a “shithole”? Any nation. And what’s even more sad is that there are so many people who will believe those awful statements. So, I decided to change the angle of my article about El Salvador and tell you my reasons of why you should visit this wonderful and extraordinary country that received me so warmly! Because you won’t only visit El Salvador but also experience it, together with the kindness of its people! El Salvador is so small that is sometimes called the country of the 40 minutes, as that’s how much it would take to reach all the major sites from the capital (not taking in consideration the traffic). 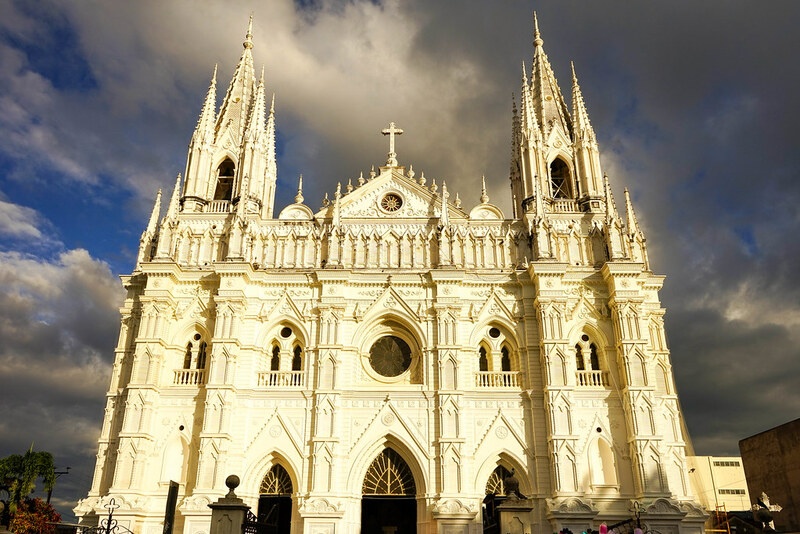 However, even if it the smallest country in the entire Latin America, if has plenty of places to explore and lots of stories to let you discover. Because El Salvador is small and it has a great public transport network, it is easy to move around. The climate of the country is mild, with an average of 28 degrees year-round, which makes it perfect to visit anytime really. There are only two seasons, with great weather even in the rainy season, as usually rainfall occurs mostly in the afternoon in the form of thunderstorms, with the rest of the day sunny. 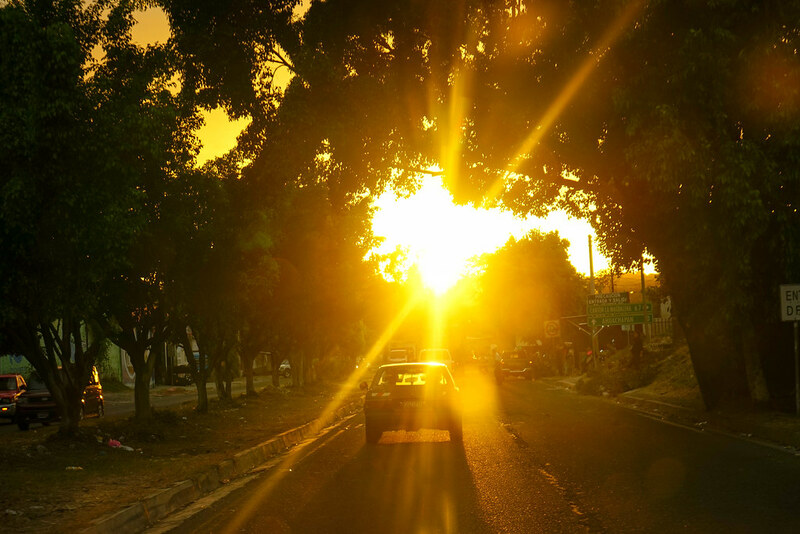 I also need to mention that the sunsets in El Salvador are spectacular, in every season! 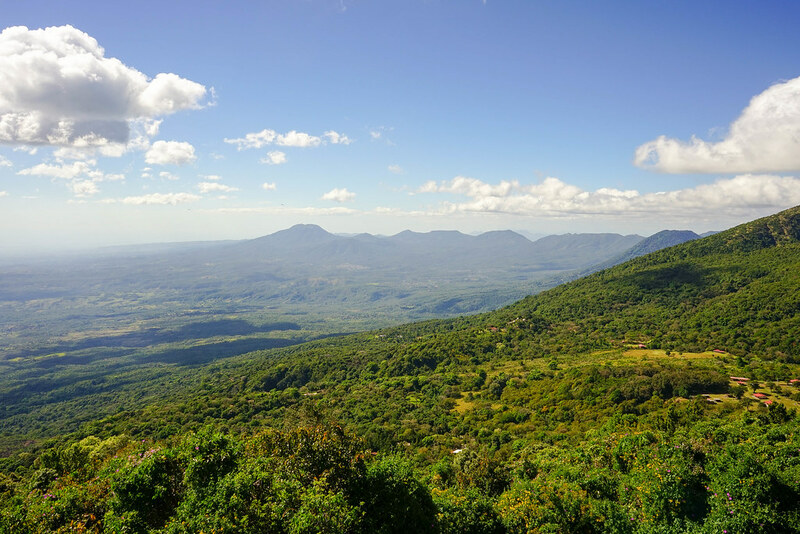 El Salvador is a country that has 25 volcanoes out of which 23 are active, 300 km of beaches at the Pacific Ocean, 10 lakes out of which 6 are inside volcanic calderas. 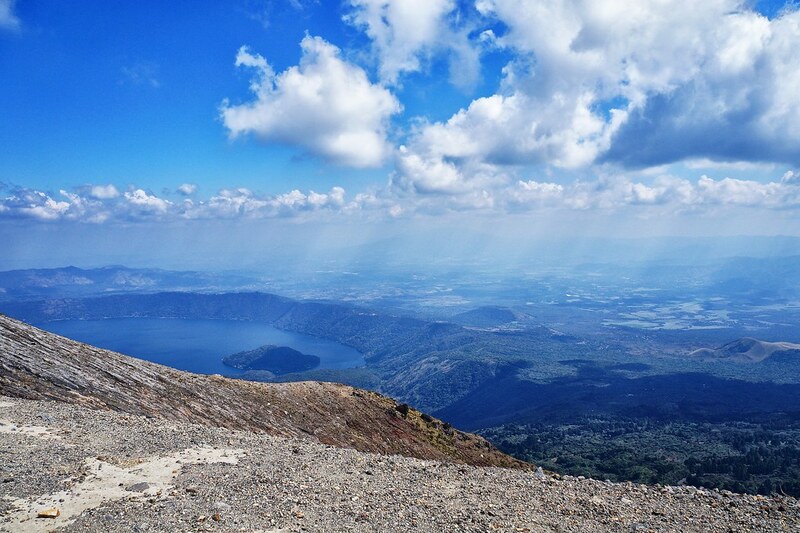 Most of the volcanoes in El Salvador can be hiked all the way up to the crater. Have you read “Little Prince” by Antoine Saint-Exupéry? This is probably a rhetorical question as who hasn’t, it’s probably the most famous teen’s book of the 20th century. Do you remember the Little Prince’s home planet, the tiny asteroid with three minuscules volcanoes on it, two active and one dormant? These three volcanoes were Santa Ana, Izalco and Cerro Verde. The entire book is inspired by the author’s wife, Consuelo Saint-Exupéry, who is portrayed in it as “The Rose” whilst the asteroid is a metaphor representing her home town in El Salvador, from where she could see the volcano complex. The Cerro Verde complex, one of the largest National Parks from the country can be easily reached by car and it is the gateway to three volcanoes: Cerro Verde, Santa Ana and Izalco, also known as the “Lighthouse of the Pacific” due to its frequent eruptions from the 17th century until the late 1950s. Izalco last erupted in 1966 and at the moment it is still sleeping. Every day at 11 am there is an organised guided hike which goes up to the crater. The hike is quite steep and it can last from 3 to 6 hours, depending on the physical strength of each person. 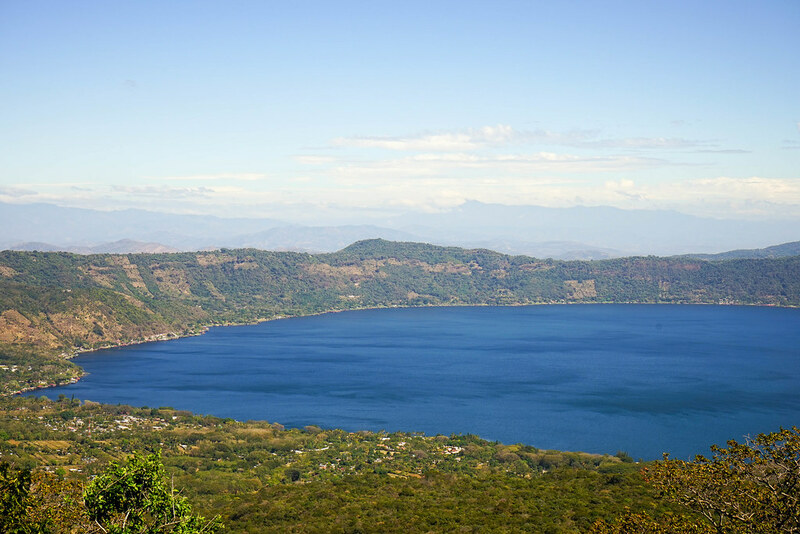 At the base of the Volcano Complex you will find one of the largest lakes in El Salvador, Coatepeque. Formed on the crater of a dormant volcano, Coatepeque has an area of 26 square km and a beautiful shade of intense blue which sometimes changes into aqua. 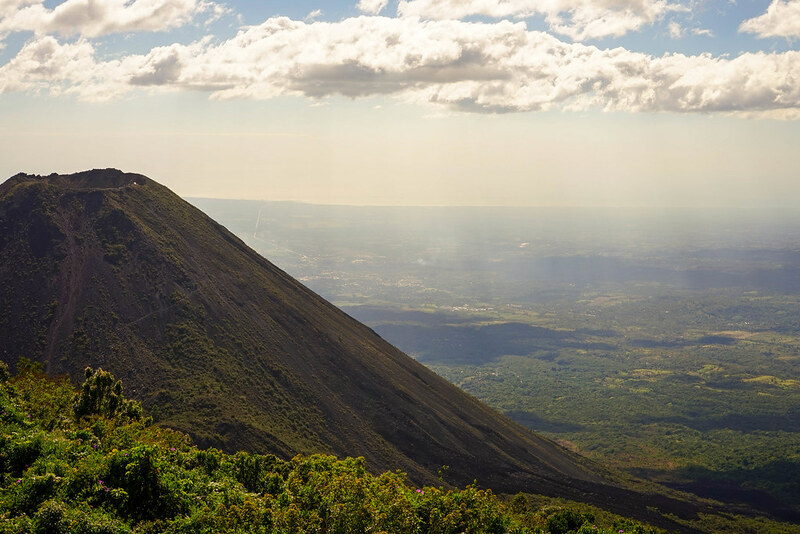 Because of so many volcanoes in such a small area, 23% of El Salvador’s energy is provided by a geothermal power plant which transforms the steam coming from inside the earth into electricity. 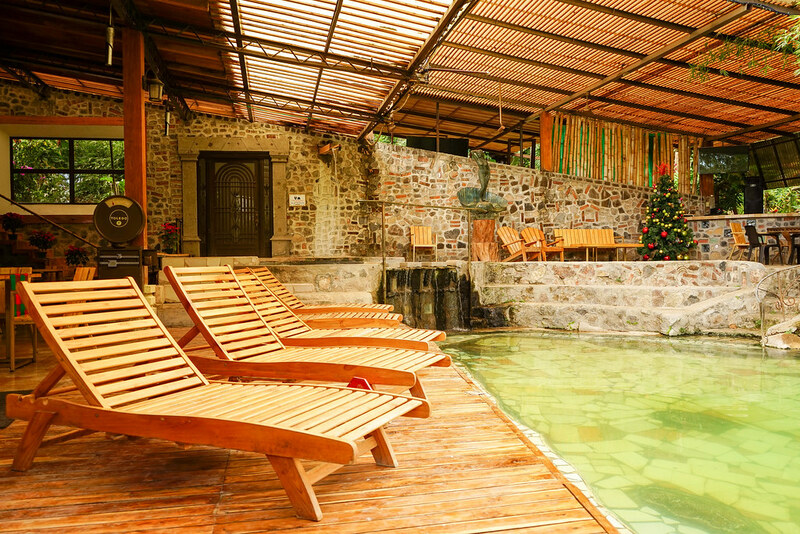 Another benefit of the volcanoes are the relaxing hot springs from Santa Teresa, near Ahuachapan. Here you can spend a relaxing night surrounded by nothing than the sounds of nature, in your own cabin with your own private thermal pool and terrace, enjoying the local cuisine and the locally grown Pacamara coffee. 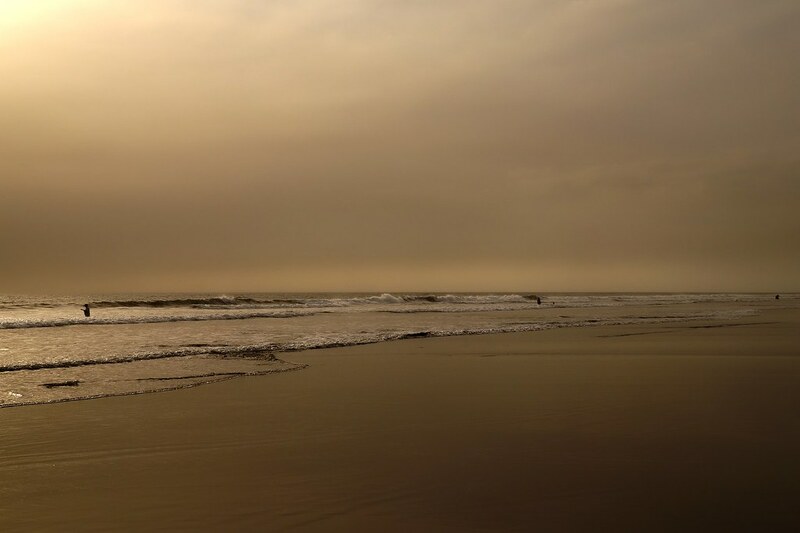 In the South of the country you will find beautiful beaches with small coves, volcanic black sand in the western parts, great nightlife, surf and fishing in the east. Because the tourism in El Salvador is not so developed, you will be able to enjoy many of these beaches just for yourself and experience boat rides with the local fishermen communities through the mangrove canals. The beaches of El Salvador are the preferred nesting spot of 4 out of the 7 sea turtles species and this is why there are many conservation projects around. 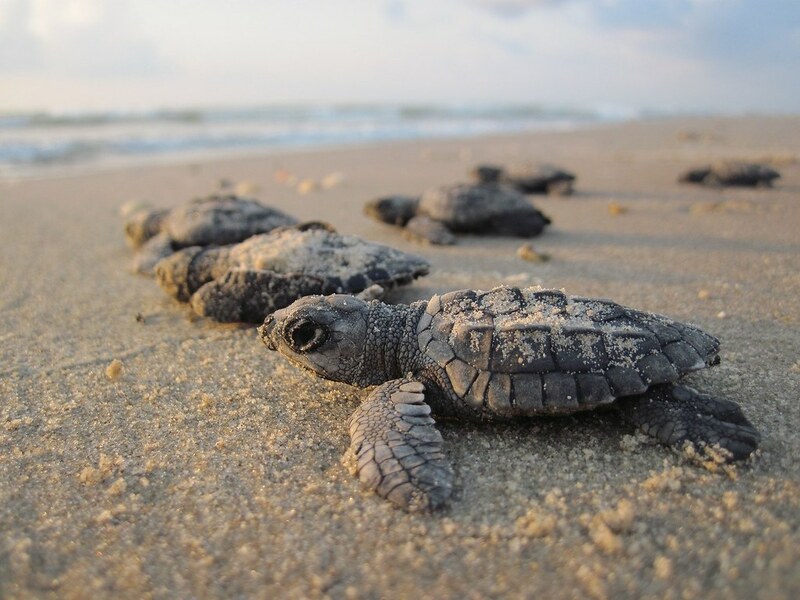 If you visit in winter, when the turtle babies hatch, you can experience the magic of releasing them into the ocean. The Salvadorians say that when you release a baby turtle into the ocean you have to do it with an open heart and a lot of positive energy, to help it succeed and reach adulthood. If you never heard about El Salvador being a world top destination for surf, let me tell you that in 2011 the World Master Surfing Championship was held in Punta Roca, one of the two best rated waves point in the country. Not only that in El Salvador you can go surfing all year round without a wet suit because of the warm water but you can also enjoy the unique length of the waves, which go for 100-200 meters before closing out. If you are a beginner, there are plenty of surfing schools around, especially in El Tunco, the most popular beach town in El Salvador. A surfing lesson with an experienced instructor costs around 25 dollars and includes the board rental. If you plan on staying for longer, you can always buy a second hand board from one of the surf shops in town. Other great surfing spots, for people who already know how to tame the waves, are El Sunzal, Las Flores or Punta Mango. In Las Flores you can combine luxury with learning how to surf by booking an all-inclusive surfing package from Hotel Mira Flores. 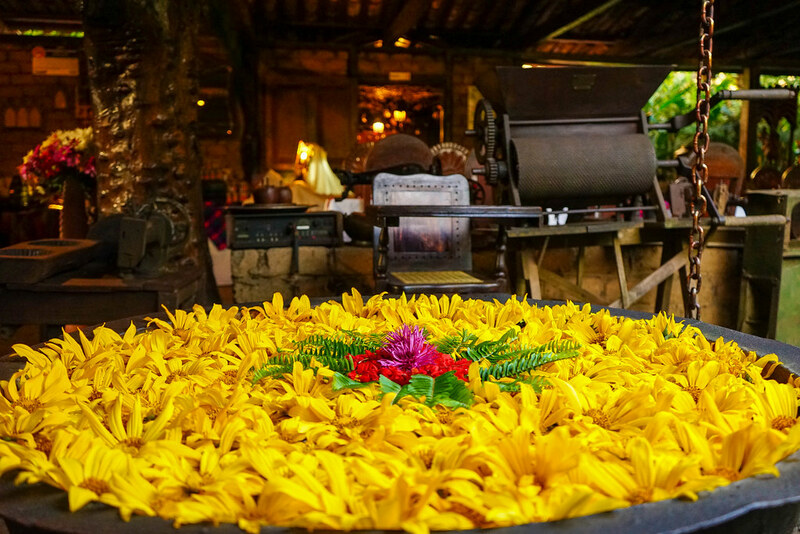 The first thing that might make you think that El Salvador is a country or arts is the name that the touristic routes have: Ruta de las Flores (The Flower Route), Ruta Paraiso Artisanal (The Artisanal Paradise Route), Ruta de la Paz (The Peace Route), or the Route of a Thousand Peaks. The most popular one is Ruta de las Flores, a 20 miles mountain windy road starting in Ahuachapan, in the west of the country, and passing through five colonial villages. The road is called Ruta de la Flores because each November the flowers on each side are in full bloom, transforming it into a tunnel of yellow. 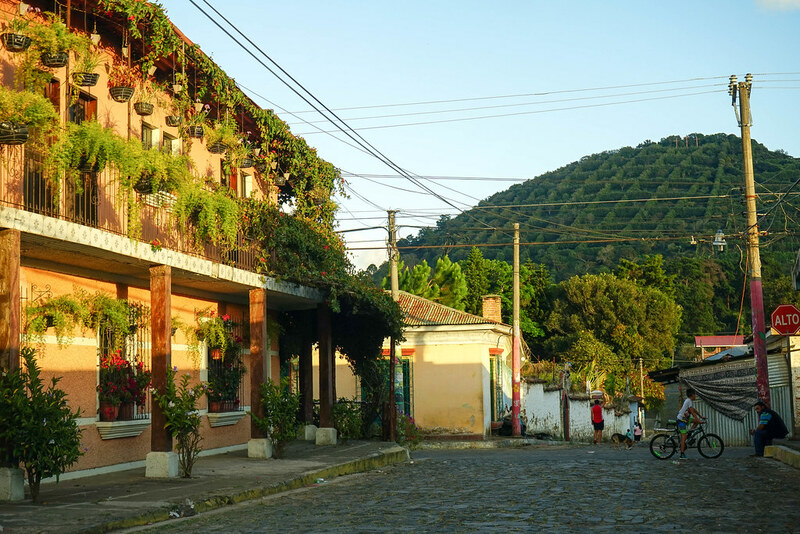 The five villages, Salcoatitán, Nahuizalco, Juayúa, Apaneca and Concepción de Ataco, are charming and colourful, each with its own personality and murals decorating the houses. Juayúa is best known for its food festival, Ataco is famous for its coffee while in Apaneca you will find a lot of handicrafts. The route is not only known for the villages but also for the beautiful nature surrounding them, where you can always go for a hike to the waterfalls or do a mountain bike trail through the pine forests. 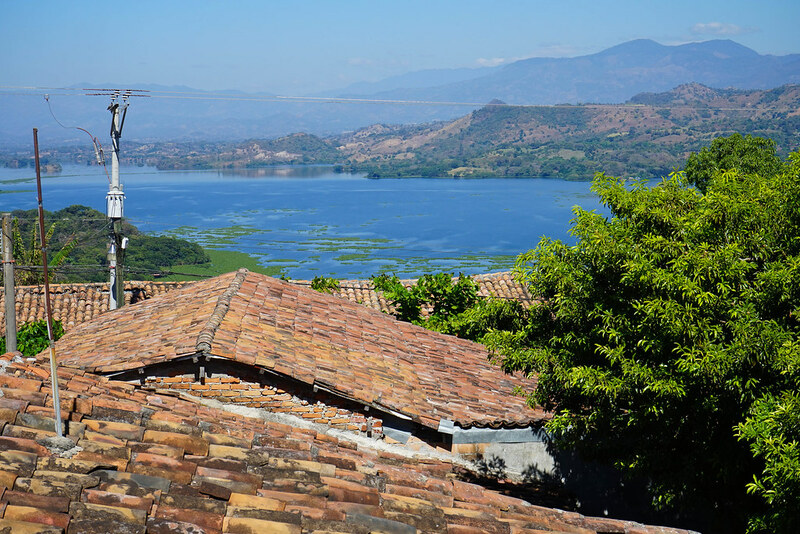 Another inspiring town that looks like it has been taken out of a fairy tale is Suchitoto, a white colonial town with cobbled streets and views over Lake Suchitlan. 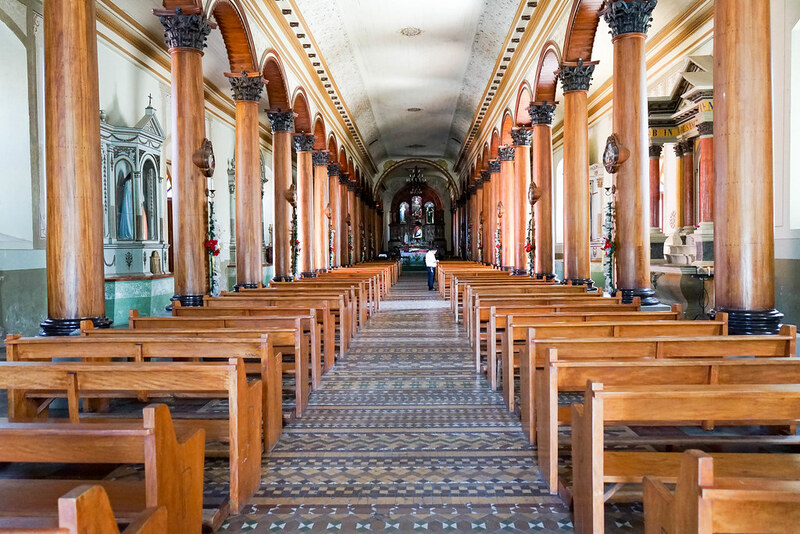 The church of Santa Lucia, which stands in the main square of the town, has an original interior with beam, columns and the altar made entirely out of wood. Suchitoto is also called the cultural capital of El Salvador, with a weekly art and food festival and the entire month of February dedicated to the local artists. Coming from England, where people don’t usually interact with each other unless they know one another, it was a bit of a transition to get used to how friendly the Salvadorians are. They are warm, kind and welcoming and they do try to start a conversation with you or help you, just because. It is truly amazing how loving this country is! I don’t even know where to start telling you about the kindness I have experienced in El Salvador, which started with a big hug as soon as I stepped out of the airport. Every single person whom I’ve met smiled at me, talked to me, made me feel special. I can’t express my gratitude of being taken care of when I got altitude sickness on top of a volcano and I wasn’t able to stand up because of it, or when I’ve been given some candies for my cold, just because. I got invited to a homecooked dinner, which made me feel as I was part of the family. When I boarded the bus to leave El Salvador I felt my heart heavy… because I didn’t want to go! And that was because of the wonderful people I was leaving behind and who were waving at me, from the outside. So, I did venture into what media calls “the most dangerous country in Central America” and I am still alive! Leaving the bit of humour aside, I can’t tell you how welcomed I felt in El Salvador and how kind and nice people I’ve met here have been with me. And I mean to the point that random people I was passing by the street would smile at me and say hello or invite me to their homes for dinner. As I said before, the Salvadorians are the friendliest people I have met during my trip to Central America. Maybe I should have started this article with this reason first, because of all the bad press El Salvador gets. As I was crossing the border from Guatemala to El Salvador, I have noticed that the number of guns I could see from the car’s window has started to increase. The guns however would belong to security guards in front of hotels, gas stations, institutions and big shops. Coming from Europe, I have never seen guns outside the airport, and I didn’t really feel comfortable. However, after I’ve asked what’s with all the guns, the answer made me feel safe. El Salvador has a recent troubled history, with the civil war ending in the early ‘90s and the guns I kept seeing are for protection only, as there are still gangs who fight each other. But, as a comparison, the crime level in El Salvador is lower than in many cities of the US! If we look at the Global Peace Index, El Salvador is only one point under the US whilst on the Global Terrorism Index it ranks on the 134 positions out of 163 (the higher rank is the most peaceful), with 0 terror related incidents. On the same Index, the US ranks on 32 whilst the UK ranks on 35. Did you know that in the entire history of El Salvador no tourist has ever been harmed? I am not saying that you should venture everywhere without caution, as you would do in every country as a tourist, but you shouldn’t believe what you see in the news either. If it’s Sunday, all Salvadorians are eating pupusas, their national dish! But not only, as you will find pupuserias pretty much at every corner of every street, at every hour at the day. 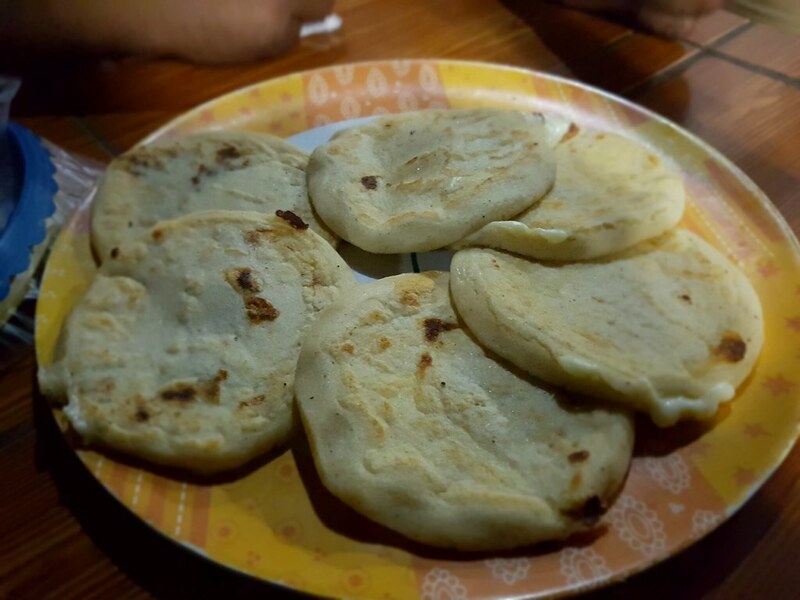 A pupusa is a corn tortilla usually filled with cheese, refried beans and pork. There are plenty of other fillings, but these are the traditional ones. They cost about 65 cents each and they are served with a slightly spicy cabbage slaw called curtido and with tomato sauce. The Salvadorian cuisine is based on corn, which has been used as an important part of the meal since the Mayan times. 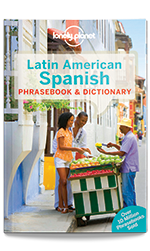 Corn is at the base of many dishes like the pupusas, tortillas, tamales, soups or sauces. 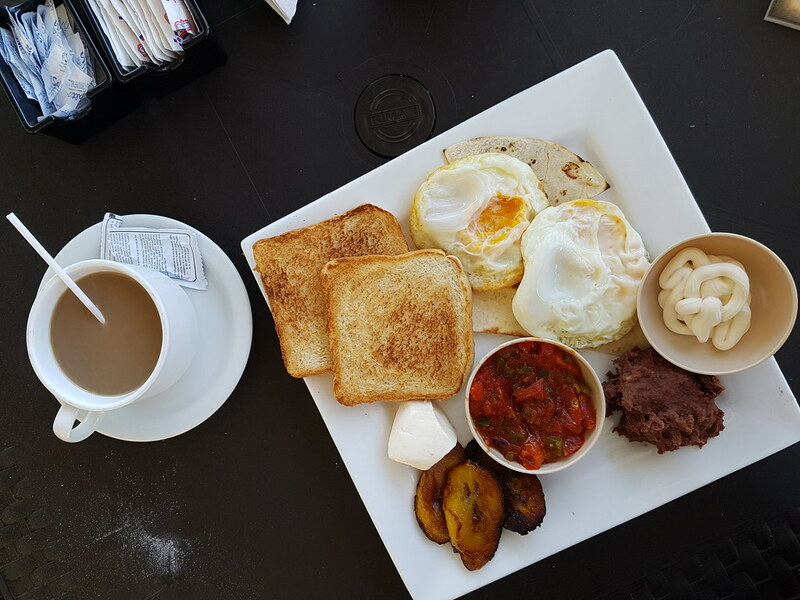 A typical Salvadorian breakfast would not miss eggs, refried beans, tortillas (and toast sometimes), fried plantains and sour cream. And a cup of coffee, of course. As a typical drink I must mention the horchata, a beverage made out of seeds and rice with added spices such as cinnamon, nutmeg, cocoa and vanilla. The horchata exists in different countries of Central America but everywhere it tastes different. My favourite was in El Salvador due to the strong cinnamon flavour. 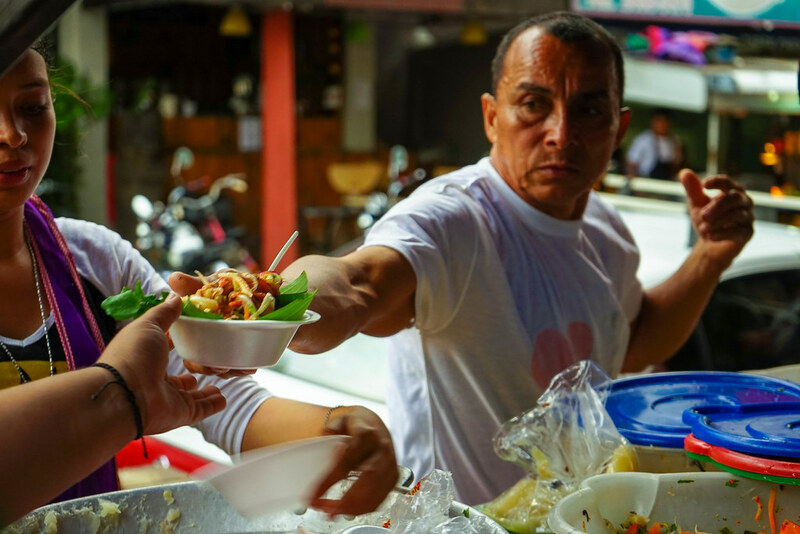 The best way to try the typical food in El Salvador is on the street, where the locals eat. Usually there will be a food market in the main square of a city, where people will gather to hang out in the evenings and enjoy the delicious homemade treats. El Salvador produces some of the best gourmet arabica coffees in the world, which are grown at altitudes of over 1200 meters, on volcanic soil. One of these coffees is Pacamara, a unique variety that wins prizes every year at the international competitions. Pacamara is a hybrid that produces large sized fruits and has a distinct intense aroma, with a creamy texture. In terms of flavour, you will discover an amalgam of complex floral notes, with a citrusy acidity and hints of chocolate and cinnamon. Even if El Salvador exports over 100 million pounds of coffee each year I wasn’t sure if I have ever tasted any, so I went to visit the Cooperativa Los Ausoles, one of the biggest coffee bean processors from the west of the country, situated just outside Ahuachapan. I wanted to learn about the journey a coffee bean takes from the tree in El Salvador all the way into my cup from the United Kingdom. Almost all the coffee in El Salvador is grown in shade coffee plantations and this is why when you glance over towards a mountain, you will see it divided, resembling a Belgian waffle. High quality coffee, Arabica mostly, is a small shrub and to protect it from the strong sun, it is grown under higher trees that provide shade. The coffee harvest season starts in November and finishes in March, with the high-quality coffee being picked up towards the end. At Cooperativa Los Ausoles the coffee is sorted into bays, depending on the quality and then processed separately. 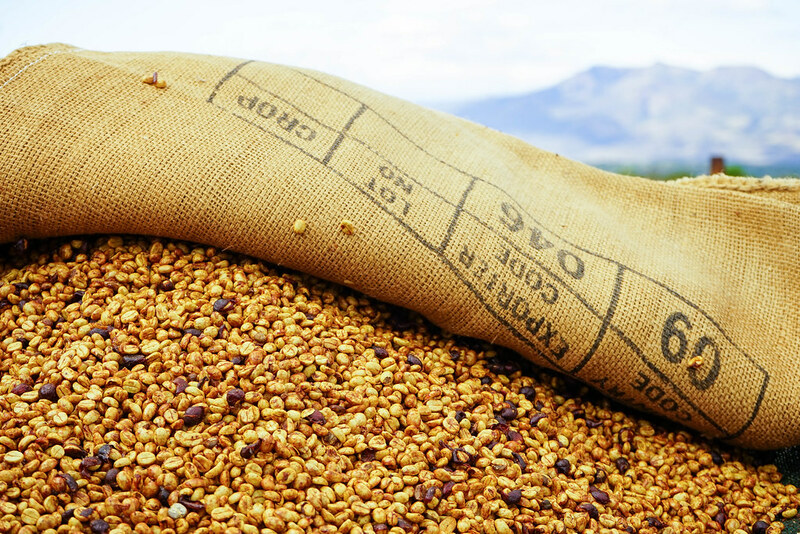 Once the coffee is ready for export, unless it is Pacamara or another recognised awarded variety, it loses its name because the buyers are using their own branding. I did however spot a couple of names on some of the empty sacks waiting to be filled it with beans, in the warehouse. Starbucks, anyone? 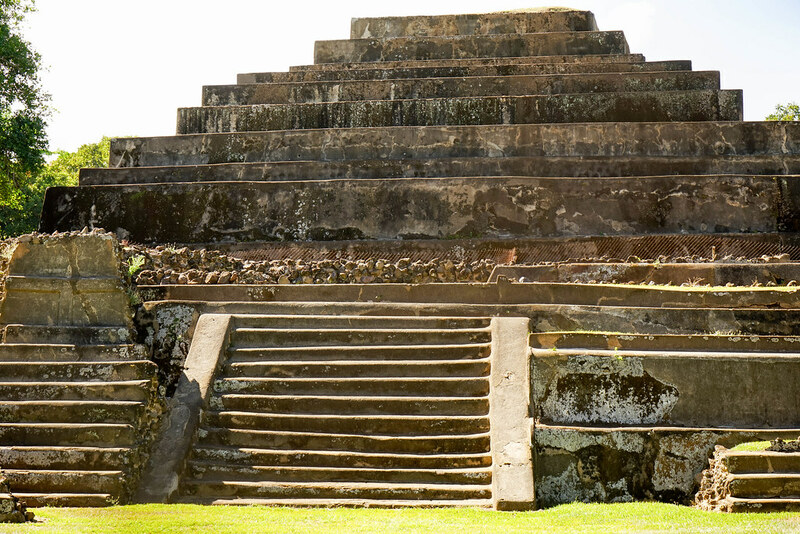 What makes El Salvador a fantastic cultural destination is the fact that you will not only find over 2,000 archaeological sites dating from the Maya and Olmec times but also recent reminders of the civil war that ended in 1992. 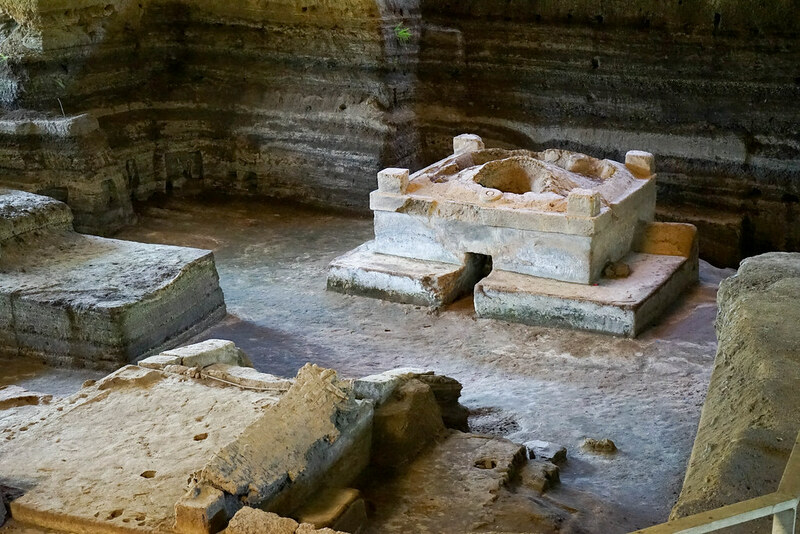 The most important archaeological site in El Salvador is Joya de Ceren, a Mayan village that has been covered by the ashes of Loma Caldera volcano eruption, burring it under 14 layers of lava. Joya de Ceren it is often called the “Pompeii of Americas” but in this case the locals had time to flee their homes before the lava hit the village, as no bodies have been found. The site has been underground for over 1400 years, before a bulldozer discovered it during some agricultural work. The archaeologists have managed to uncover over 70 different buildings and they believe in the past the village was connected with another site nearby through the river passing near both of them. Because the ashes had quite a low temperature and came very fast, the buildings and the crops have been preserved extremely well. The site has been declared a Unesco World Heritage in 1993. Another interesting archaeological site are the Mayan ruins from Tazumal (“place where souls are consumed” in Quiché language), dating from 250-900AD. The structures have influences from both Copan, in Honduras, and Teotihuacan in central Mexico. It is believed that the locals were living here together with the native Pipil people. The main pyramid at Tazumal is mostly intact, and whilst it is forbidden to climb you can imagine easily how it used to look like when the Mayan city was still in full bloom. In the north-west of the site it is believed to be a Mesoamerican ballcourt where the locals would play a sport with ritual associations. However, nobody seems to know the rules of this game. If we talk about the recent history, the best way to learn about what happened during the civil war is by talking to people who were involved in it. 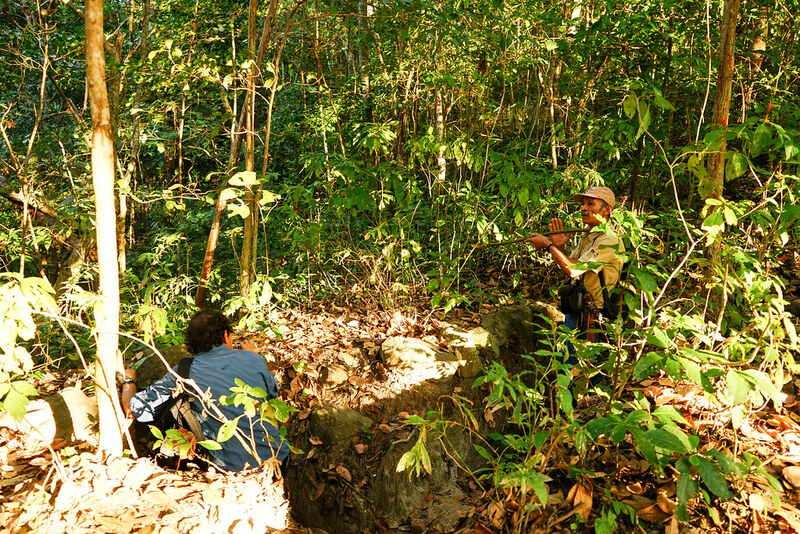 Visiting The Bosque de Cinquera with Rafael, the head ranger of the park, who fought for the guerrillas and called the forest his home for 12 years, is a chilling experience. Rafael’s war stories are painful to listen to, imagining what he went though, petrified of the sound of planes whilst calculating where the bomb would drop and run the opposite direction in time. The community in Cinquera, formed by many ex-guerrilla fighters, has developed a series of social projects, with cabanas to stay overnight and a local restaurant where you can taste the homemade simple but full of flavour food. The now peaceful village has a central park dedicated to the remembering the horrors of war, with the tail of a helicopter as the centrepiece and a mural showing the history of the village, how it used to be before, during and after the war. The forest actually grew with the war as before, the entire area was covered with crops. Did I convince you? Are you going to add El Salvador on your travel list for 2018? 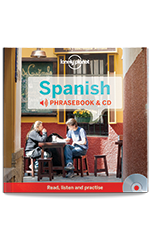 Disclaimer: This article was written in collaboration with Tour Universales and Corsatur. 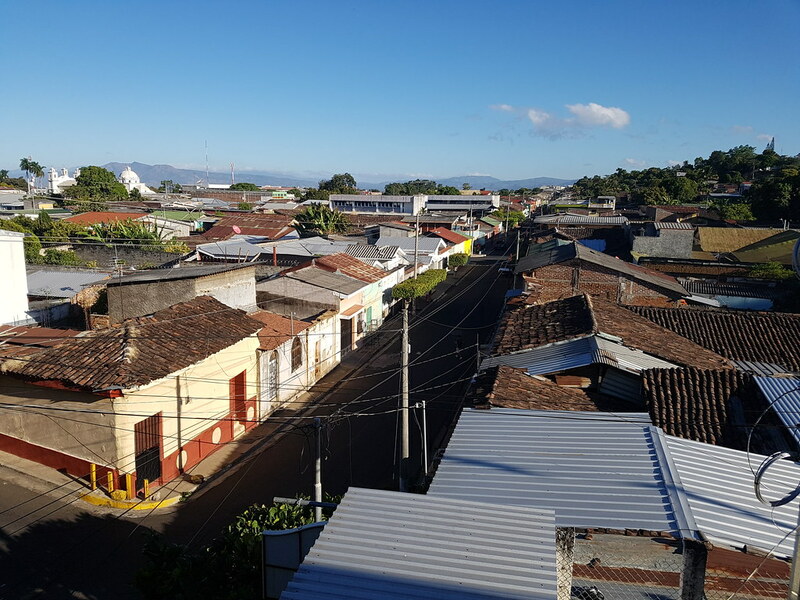 I have to admit I didn’t know much about El Salvador – I can’t believe how small it is – 40 minutes to anywhere of interest from the capital! I guess it makes it a wonderful place to explore on holiday as you have the whole place to look around really. You have properly sold it to me, El Salvador looks and sounds absolutely beautiful. Your photos are gorgeous. I would love to visit and it’s suddenly rushed to the top of my bucket list. This is somewhere I have never ever thought about but YES. I am utterly convinced. You’ve convinced me, seriously. Plus my mum has always wanted to see baby turtles on a beach, this might just be the place. I am happy you touched on the safety because too many people are worried about what it is like there. However, looks beautiful and I love all the food photos. I base a vacation from the food of a country. lol. I have to admit El Salvador wasn’t a country I knew much about before now (other than it being “the most dangerous” Latin American country.) It really is beautiful though. I love the bright, vibrant cities especially in contrast to the stunning volcanoes and lakes. Seeing the Mayan city must be amazing. Definitely want to go now! 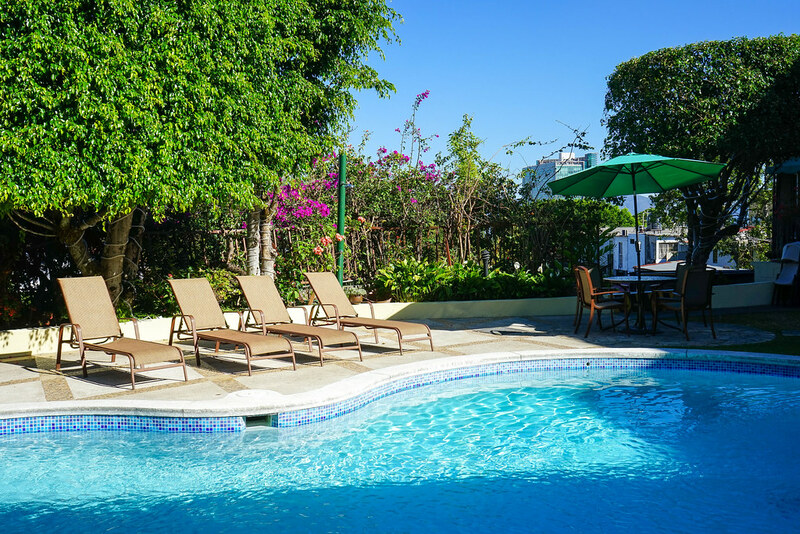 El Salvador looks absolutely stunning – the hot springs seems a must. 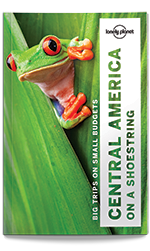 I’m looking into Guatemala and Costa Rica as holiday options at the moment but may add El Salvador into the hat after reading this. This article might have just make me looking at flights going to El Salvador! The food looks so good! The way you describe pupusas makes me drool omg. 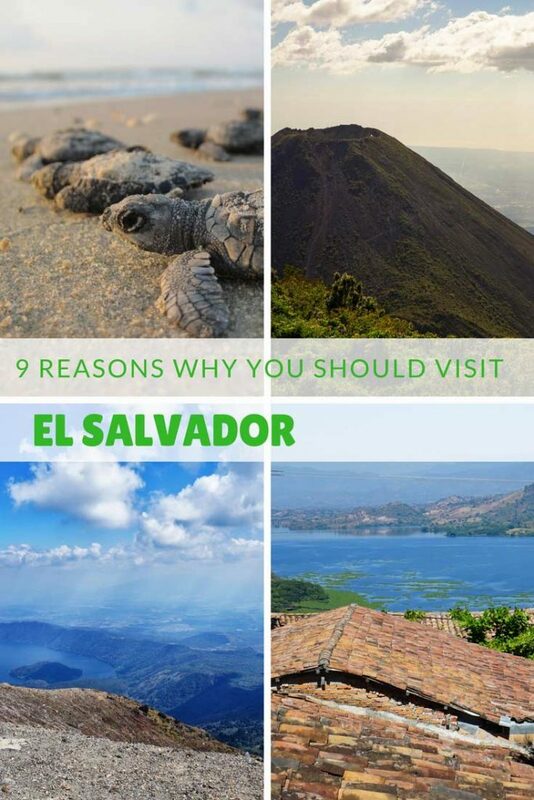 I have to admit that I don’t know El Salvador that much and thanks to this post, now it is on my bucketlist! First of all, let me say that man doesn’t speak for a majority of my country. We would welcome people from anywhere. We can’t wait for the day he’s out of office. Enough about him. 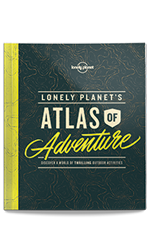 🙂 This blog is so informative and could be in a travel guide! Your pictures look like postcards. El Salvador looks wonderful, especially the beaches. The breakfast looks yummy too! El Salvador has never been very big on my To Visit Bucket List.. but I may have to move it up now!! Such a wonderful and informative post! Thank you so much for making me travel with you in Salvador through your picture. Thank you also for speaking up about safety there, like you said media have mentionned many times how dangerous it is. It is nice to have another point of you!! It looks absolutely beautiful and I would go there in a heart beat, no need to convince me. Your pictures are all stunning and your passion for El Salvador is so clear to see. I don’t take much that ‘man’ says seriously if I am honest. I love that you mention that the locals are so friendly, I always love to meet people when I travel. And the sea turtles.. there’s not one thing in this post to ever suggest it should be called a shithole. Utter nonsense! That crater lake has the bluest waters I have ever seen! El Salvador is a place I have always wanted to visit, and I hope in the near future I will be able to. 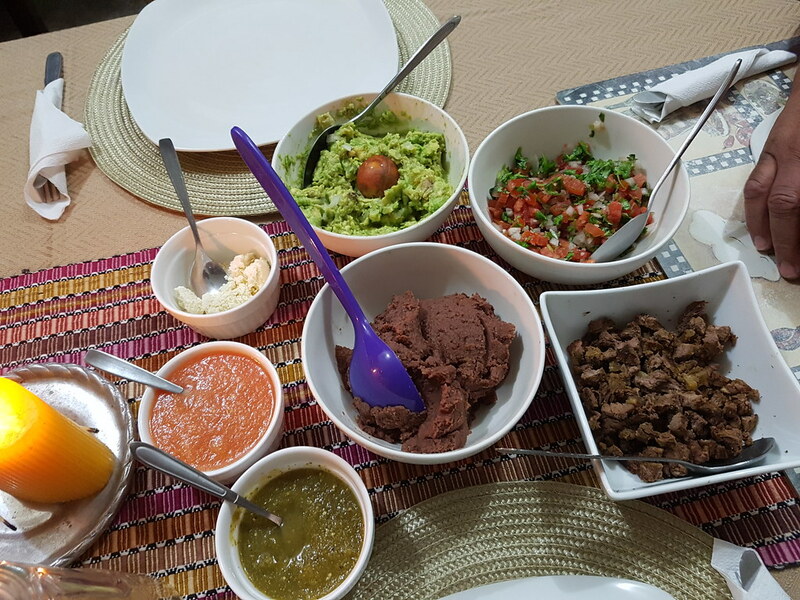 I have always wanted to take a culinary tour of South American – and El Salvador would be on that list. But oh my! Your photos. I think it would be worth a visit all on it’s own. That waffle mountain is just an incredible sight. Thank you for sharing such a wonderful tour through El Salvador. That waffle mountain is a coffee plantation in Apaneca. The waffle structures are called “curtains” because they play the role of stopping really strong winds (+80miles/hr) from impacting/damaging the coffee tree/fruit. Unfortunately, I think that many people have the misconception that El Salvador is poor and dangerous. I’m Guatemalan-American and battle similar stereotypes about Guatemala. I learned a great many things about El Salvador in your article. I’d had no idea that Antoine Saint-Exupéry’s wife was Salvadoran and a muse for his book. I was also pleasantly surprised to learn that nearly a quarter of the country’s energy is geothermal. Although I was slightly offended when you said that Salvadoran’s were the friendliest people in Central America (haha jk). Hopefully I’ll get to visit this country one day. Oh yes you have completely sold El Salvador to me! As evidenced by your photos, the country is colorful, beautiful, and vibrant. I would love to explore the many sights it has to offer. I would definitely consider adding this to my bucket list – I’m sure it will be worthwhile. You’ve definitely convinced me to add El Salvador to the list! I’ll be honest, you see so many bad stories about the gang violence, so it was one place I wasn’t keen to visit. However, after reading this, and seeing your wonderful photos, I’m beginning to change my mind. Those pupusas look delicious too! I never realised just how small El Salvador was to travel. It’s so tiny! The Mayan history is so fascinating, I studied it at uni and I love would to see the ancient runes. It was really unfortunate that Mr. Trump had to paint all those countries with such a broad brush. He clearly has not traveled there or gone to those places with a meaningful purpose in mind. Thank you for showing your readers the beauty of El Salvador. I’m sure the locals will appreciate you getting the message out there. wow you definitely convinced me to travel to El Salvador! I actually had no idea that its called one of the most not safe places to visit. You put together such a wonderful post, showing how beautiful is this country! I haven’t been in Latin America yet but I am dreaming to go! I just booked my flight to Brazil and Colombia so I dont think I will make it there this year but hopefully next one! Also I am really shock reading about this statement of US president! Wow I had no idea and its very sad! I must admit El Salvador isn’t somewhere I had ever considered visiting before but I am intrigued by it – I love that there is plenty to see and do but it is also the country of ’40 minutes’ – whilst I wouldn’t take a short amount of time taking in the sights, it is nice to know that they are all easily accessible to me. These photos are stunning and they have made me want to go more than I already did. The food looks SO good and it’s good to know it has a good public transport system. Oh my goodness! This place is so lovely. I should be adding this to my bucket list. We had a transit there when we visited Peru. I would love to go and explore the country. You pictures look wonderful. And everything sounds great. I have heard good things in El Salvador. They say that this is such a beautiful place to explore and base on your photos that is true. You’ve convinced me to visit this place this 2018. I am a bit excited about it. El Salvador looks and sounds absolutely beautiful. Your photos have done justice to the beauty of the place, the Waffle mountain looks so incredible, adding it to my travel bucket list. Wow! Those shots are just amazing! I love your captures! I have visited many places last year, but I think this is the one for my 2018! I so love the spot! Well a Certain man may have said things about Shithole Countries, however he couldn’t have been more wrong about El Salvador! What an absolutely stunning looking country. It has everything! 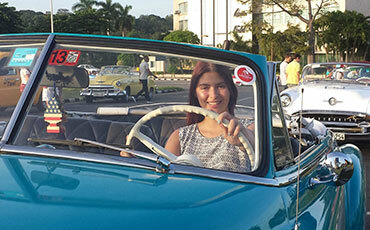 Food, Culture, Sights, Natural beauty, Beaches and what looks like warm, welcoming people. You sold me! I want to learn to surf so badly, my wife desperately wants to see turtles, the volcanos are absolutely stunning and the food sounds and looks so wonderful! Yes you have convinced me! A brilliant, thorough article and well written too with beautiful photography. Safety was probably my number one thought when considering El Salvador but amazing to know no tourists have ever been harmed! Always have to be safe no matter where you are…but that is an impressive statistic! The surfing looks beautiful, the history, the food – and as for the turtles, I think I’d love to do some conservation work there! You’ve done a great job convincing people to visit El Salvador – it’s now officially on my list! It is always good to see the world through the eyes of a globe trotter then only the actual beauty of that place catches our eyes. I really enjoyed my virtual visit to this central American surfing paradise.. 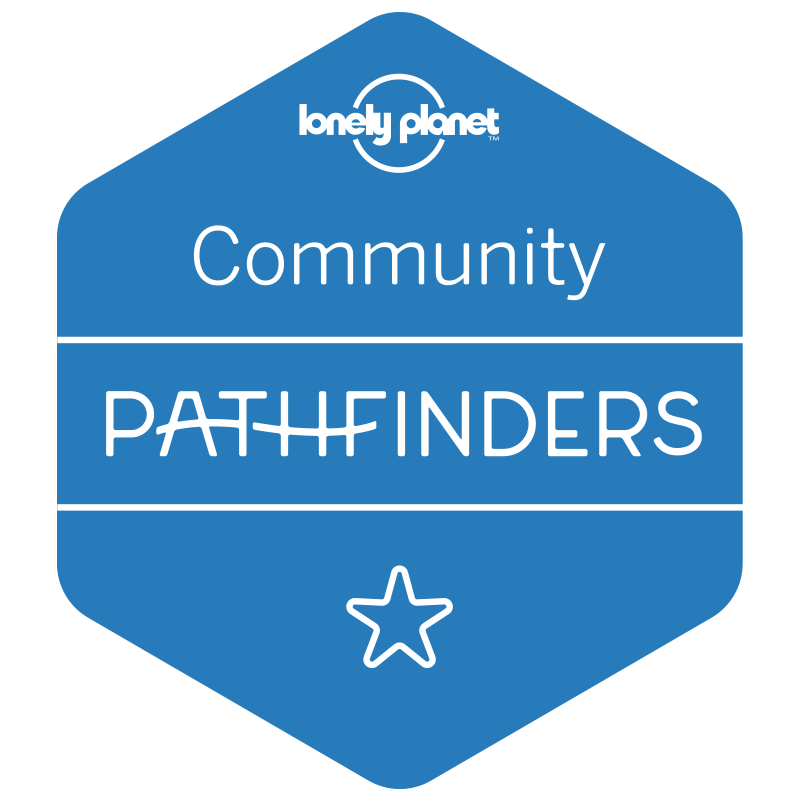 I am so amazed to know that people of El Salvador is friendly enough to their tourists that means they will be quite helpful towards them too.. conserving the natural habitats is another sweet thing there..
What a great, helpful, detailed, comprehensive and all around informative post! I learned so much about El Salvador! I am SOLD, this place looks amazing, so much stuff to see and do! I will hopefully be visiting in the next couple of months and I cannot WAIT now! Wow, what a stunning country! I spent a month in Peru last year and ever since I have wanted to travel around South America and central America. They are such gorgeous countries. El Salvador looks absolutely fantastic! All those fabulous pictures! There is always so much to see of a country! El Salvador is indeed a wonderful place and I agree with most of your descriptions but statements like “no tourist has ever been harmed” not only are false but they needlessly discredit you. While tourists are not targeted and face less danger than locals there are crimes committed against tourists here in El Salvador just as there are in any other country in the world. I appreciate you are trying to convey that it is a safe place for tourists (which it is) but people should still use common sense. Also the historical sites and and arts and handicrafts scenes pale in comparison to neighboring countries so if that is your primary motivation you will be disappointed. The people (and the beaches) are what really makes El Salvador shine. You will not find friendlier genuinely helpful people anywhere in the world. Also you don’t have people always trying to sell you stuff and prices are generally fixed so no need to negotiate price of every purchase which is nice. Many people who plan on visiting for a few days wind up staying in small beach towns for several months because of the people. Awesome article. THank you Joanna for venturing out to such gem and sharing with the world. If anyone I still interested in traveling there and would like suggestions on where to stay, I have some places you may be interested. Just send me a note . Cheers. As a Salvadoran I can say Joana had capture the magic of El Salvador in one visit. And yeah, I endorse you visiting it. As a salvadorian i must say that your article almost made me cry! Thank you for writing such beautiful things about my country. Everything you said is true. I’m so glad you liked El Salvador and i encourage you to come back! Enjoyed this post, we have really been considering El Salavador but have been a little hesitant with the safety concerns. It’s kind of nice how small it is so you can see a lot if it in a visit.